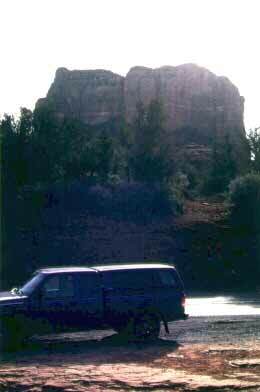 Here is a picture of my truck in front of one of the really cool red rock formations down around Sedona, Arizona. The rock colors complimented my purple truck and closely matched my hair color. It was a beautiful drive through there, but I could have used more pull-off spots to take pictures.